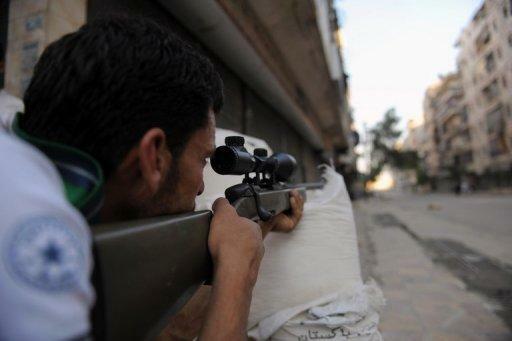 A fighter from the Syrian opposition aims fire during clashes with forces loyal to President Bashar al-Assad, in the center of Syria's restive northern city of Aleppo. 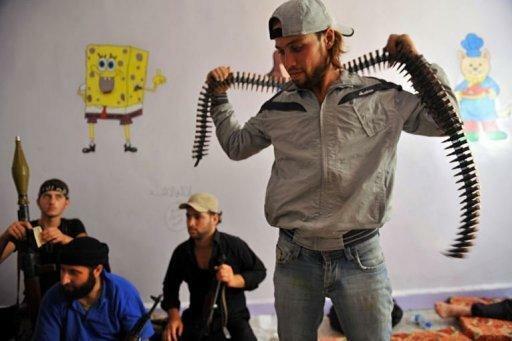 The Syrian army and rebels on Wednesday sent reinforcements to Aleppo to join the intensifying battle for the country's second city, as UN chief Ban Ki-moon urged the world "to stop the slaughter." 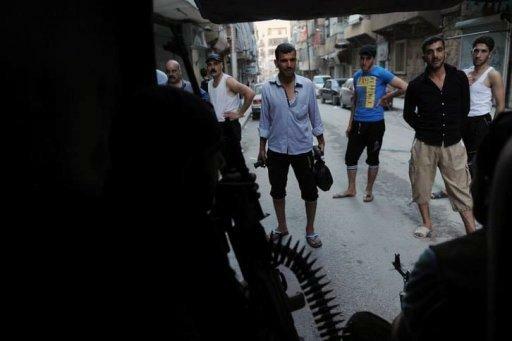 Fighting between Syrian security forces and the opposition has forced thousands to flee their homes. The international community has yet to decide what to do as fighting continues in the cities of Damascus and Aleppo.